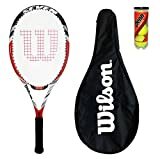 Tennis is one of the most popular sports around the world however if you are looking to play it effectively then you would need proper gear including tennis rackets (tennis racquets). 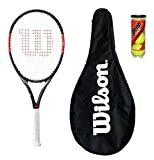 You would therefore find it important to invest in tennis clothing and accessories so you could make the most of the game. 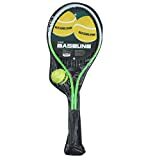 From shoes to appropriate tennis gear, everything is essential however you would find tennis rackets to be something that require particular attention as that is what your entire game would depend upon. 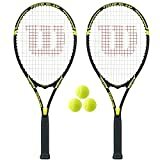 If you go for the wrong brand or design of a tennis racket, then things are not going to be as smooth for you as expected. 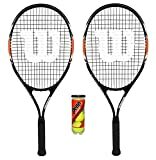 Grip size - L3 - 4 3/8"
Ideal for the beginner or recreational adult player. 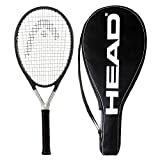 Aluminium 27 Inch tennis racket. Also comes supplied with a headcover. 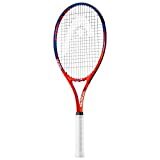 The aluminum racquet features the unique Damp+ insert, which isolates the impact for fewer vibrations. The Radical 25 is perfect for kids between 8 and 10 years.